1. Make very realistic menus for Tuesday, Wednesday and Thursday nights. I teach piano until dinnertime two of these days and the kids have gymnastics until dinnertime the other night. So, if you look at my menus hopefully these days will have quick and easy dinners or dinner that I can prep while the kids are still at school and throw in the crockpot or bake right before dinner. 2. 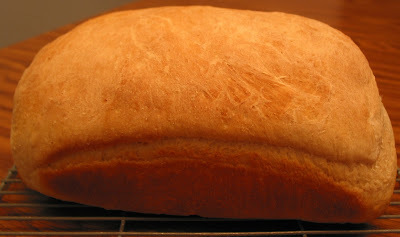 Make bread at least twice a week. I've realized that my bread doesn't stay soft for days and days, but I'm tired of buying bread and having it be dried out. Making bread isn't that hard and it doesn't take that long if I plan ahead a little bit. 3. Stick to my food budget. I've never been very good at sticking to a set budget for food, but I'm going to do better. 4. Since my baby is entering the baby food stage of his life, I'm going to try to make more of my own baby food instead of shelling out $.50 for each little jar. Basically, I want to eat healthy, cheap, easy to prepare, home-made food, so hopefully now that I've written my goals down, I'll do better at doing them. Thanks to Maggie, Meagan, Laura, and my sis, Lis, for posting their menus last week. What's on your menu this week?